As with any orthodontic treatment, it is important to choose the right option for your needs and lifestyle. 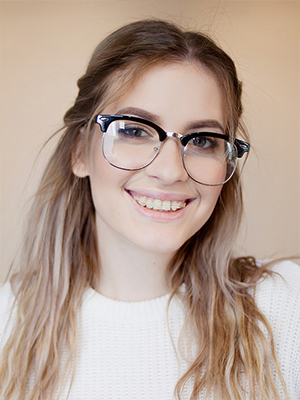 Clear braces are a great alternative to traditional metal braces and Dr. Thames will help you determine whether they are the right treatment for you. Cost: Ceramic and clear braces may cost more than traditional metal braces. Dr. Thames may offer convenient payment plans to help control the costs of your treatment. Be sure to talk to Dr. Thames about all of your financial options. Discoloration: The clear elastic ties used with clear and ceramic braces may become slightly discolored when you drink tea, coffee, or wine, and eat certain foods or smoke. Ask Dr. Thames about how you can keep your braces looking their best. Treatment Time: Orthodontic treatment with clear or ceramic braces may take longer than with traditional metal braces. If you don't mind investing a little more time in your smile, then talk to Dr. Thames to find out how long your treatment time will be with clear or ceramic braces. By talking to Dr. Thames, you can decide if clear or ceramic braces are the right treatment for you. Your Dr. Thames can provide answers to your questions and extra information explaining the benefits of each treatment. If you would like to learn more about clear braces, ceramic braces, and all of the options available to you, please contact our practice and schedule an appointment today.